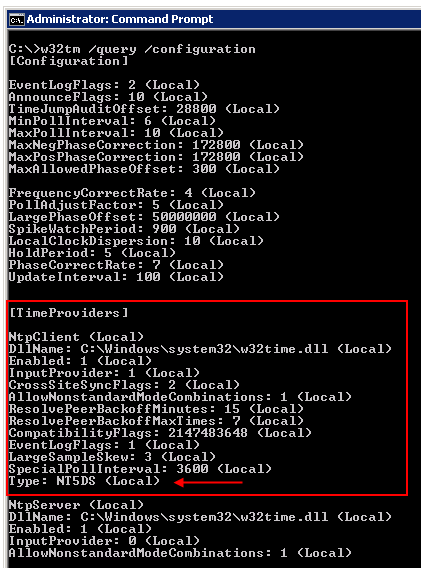 If you need to add more than one NTP server than the peer list entries are space delimited, see example below. Once completed windows time service should begin Synchronizing time on the domain controller(s) with the external source. to view the time configuration you can use w32tm /query /configuration command.